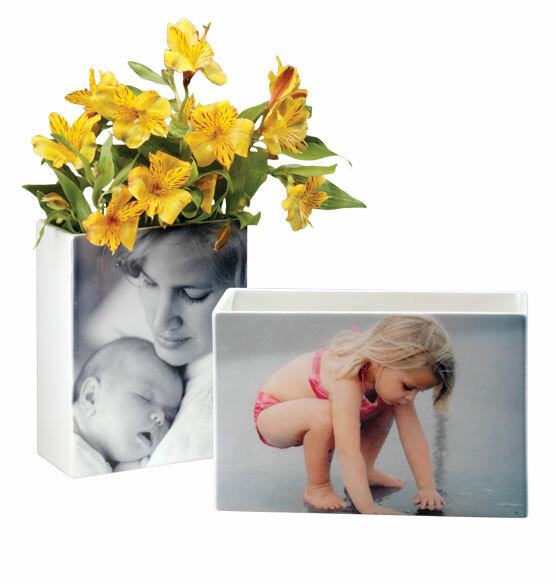 Show off a favorite memory on this simple but elegant white ceramic vase. The image goes all the way to the edge, putting the focus on your photo. 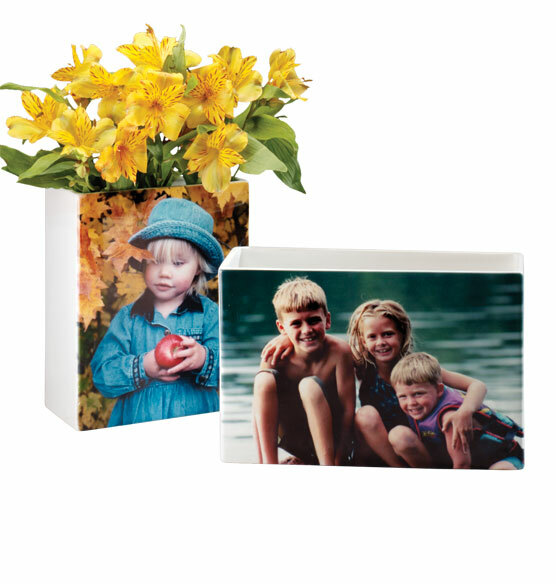 Wonderful way to share a special photo of children, pets or a memorable vacation. Looks great on a shelf or table, filled with flowers or used as a catch-all for papers and small items. I purchased this as a gift for my sister-in-law. The picture distorted and the colors faded. I am a little disappointed in the way the photo turned out. I think this is a great gift idea, however beware your picture may not work on this product. I may try again next year and use a black and white photo instead. Simple design and the color was crisp. Wonderful way to capture a special memory. I have the vases on display in my kitchen and have taken a similar B&W photo's for the past 4 yrs of my family at the beach in Monterey Calif. And they all hide/hold stuff! Is the photo only printed on one side of the vase? BEST ANSWER: Thank you for your question. Yes, the photo is only printed on one side of the vase. We hope this information will be of help to you.